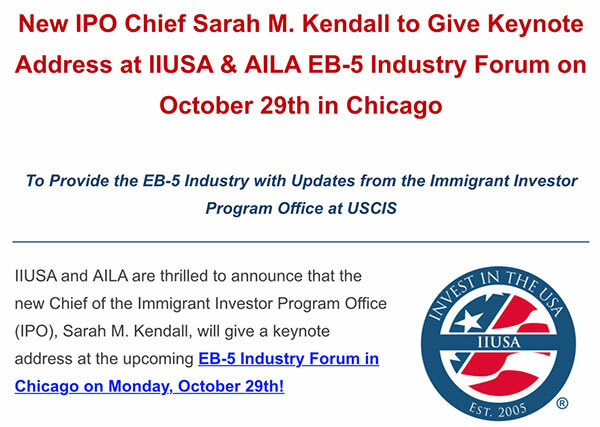 Sarah Kendall began serving as the new chief of the Immigrant Investor Program Office on June 10, 2018. She has served as a senior advisor in the Office of the Director since September, 2017. Before that, she served as the associate director for the Fraud Detection and National Security Directorate from 2012 to 2015. She joined USCIS in May 2012 after serving as the National Security Council’s (NSC) director for border and interior enforcement since January 2010. Her duties involved immigration, transnational organized crime, terrorism, intelligence, law enforcement, and anti-fraud policy. Kendall began her federal career with the Department of Justice in October 1996 through the Attorney General’s Honors Program. She litigated immigration matters in the Central District of California and served as enforcement counsel for INS headquarters. She led the National Security Law Division at U.S. Immigration and Customs Enforcement (ICE) from 2001 to 2004. From 2004 to 2005, she held the position of deputy director for ICE’s Office of Training and Career Development. In 2005, she was appointed as the immigration policy director in the DHS Office of Policy. From 2006 to 2008, she worked as senior counselor to the deputy director of USCIS. Kendall has served three tours at the NSC. From 2008 to 2009, she was selected as director of international justice issues; from 2010 to 2012, she served as director for border security and interior enforcement; and from 2015 to 2016, she served as senior director for the transborder directorate. Kendall has also served as a senior counselor to the undersecretary for the Office of Intelligence and Analysis and the secretary of Homeland Security. Kendall received her bachelor’s degree in international affairs and Spanish from Trinity University in San Antonio, Texas, in 1989. She received her Juris Doctor from the University of Houston Law Center in 1996. She speaks fluent French and Spanish.